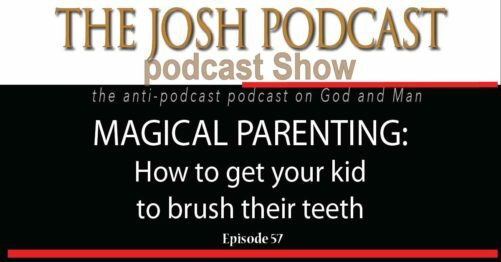 Does your young child fight back when you try to brush their teeth? Are you frustrated and broke with dental collections bills piling up on that countertop in your house where you keep collections letters next to that thing over there? Become a magical parent with this simple, one word tip that will change your life AND the life of your child who will go on to graduate with honors from an Ivy League school and quickly repay you by richly supplementing your retirement and becoming a model citizen who reproduces and uses the same technique to ensure a future family dynasty that someday will take over the world, and in two centuries, Mars.